Ho! Ho! Ho! Happy December, everyone! 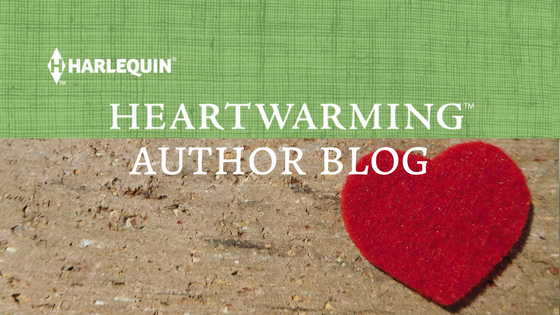 We’re super psyched because it’s the official RELEASE DAY for the Harlequin Heartwarming December authors! 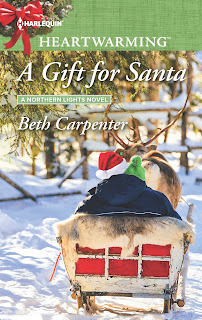 We’re celebrating with a huge holiday giveaway that launched here this past Saturday (if you missed it, you can find it here: http://heartwarmingauthors.blogspot.com/2017/12/ho-ho-ho-its-sleigh-full-giveaway-by.html). Check out the link and launch for prize pack details. 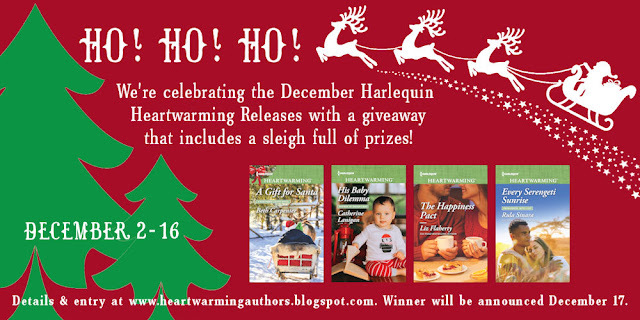 It’s open for the next couple of weeks and the winner will be announced on Sunday, Dec 17th here on the blog. You heard right…one incredibly lucky winner will get a big ‘sleigh full’ of prizes! So in the spirit of Santa’s sleigh and holiday fun, we have a reindeer game for you today! Imagine that your house doesn’t have a chimney so Santa has to use your front yard as his landing strip. You’re getting home very late from work or last-minute gift shopping…or a date…and you’re walking towards your door. You’re wearing ear buds and listening to holiday tunes, so you don’t hear Santa’s sleigh bells (or him yelling at you frantically to get out of the way) as his reindeer come in for a landing. Dasher’s antler snags your purse strap and all of its contents spill out onto the snow. Santa runs over to make sure you’re okay, but he skids to a stop when his little eyes spy what you had in your purse. His mouth opens into an ‘O’. He could be saying a jolly ‘Ho, ho, ho!’…or maybe it’s an ‘Oh, no, no, no!’. what three odd items will Santa find? then keep it to yourself, if you get our gist ;). Oh, before you share, we bet you’re wondering what Santa spied in our purses! Would you call us naughty, nice or plain strange? 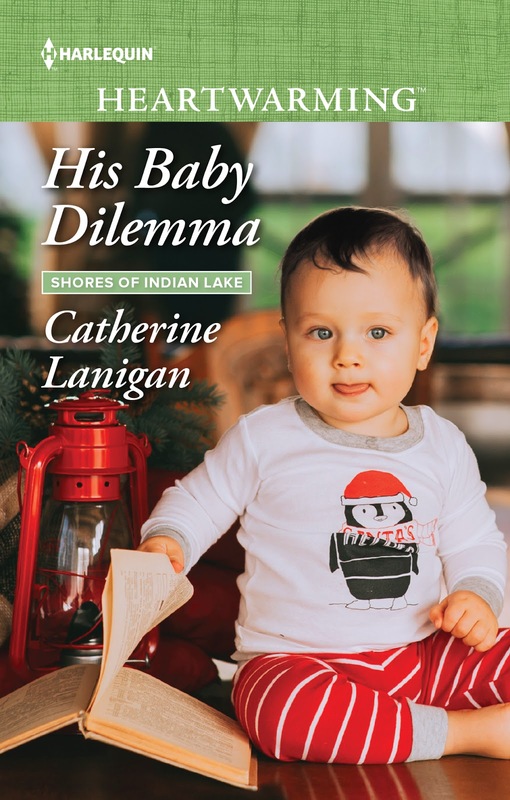 3 odd items in Catherine’s purse: First of all, my purse is very large and carries ten pounds of the oddest things imaginable and none of my items relate to babies or children, which tend to be the things that weight women down. Back when motherhood was part of my life, my bag was even bigger and heavier. Santa’s eyes would pop open at the handful of angel stones, metal angels, jade angel, mini-statues and one angel made from Sedona crystals. I could leave them at home, but they travel everywhere with me. I have a very large and heavy crystal rosary from St. Mark’s Cathedral in Venice and a mini pouch of my favorite essential oils that I can’t live without. Santa was probably smelling that Christmas scent. Or Frankincense. And of course we have to mention that Heartwarming books slip nicely into most purses ;)…and stockings…and just about anywhere. Must they always be continents apart? Nobody expects Paris fashion designer Grace Railton to settle down in her Indiana town, least of all Mica Barzonni. Fifteen months ago, he turned to her for comfort and compassion following a farming accident that left him permanently injured. Then she returned to France and went silent on him. Until, suddenly, Grace shows up on his doorstep with life-altering news. Mica, a father? He’s barely learned to navigate his post-accident life. 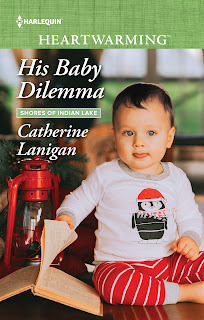 But this could be his chance to become the man he’s always wanted to be—the husband and father Grace and their baby son need. Now Mica just has to convince her to stay. Tucker Llewellyn and Libby Worth—strictly platonic!—realize they’re each at a crossroads. Tucker is successful, but he wants a wife and kids: the whole package. 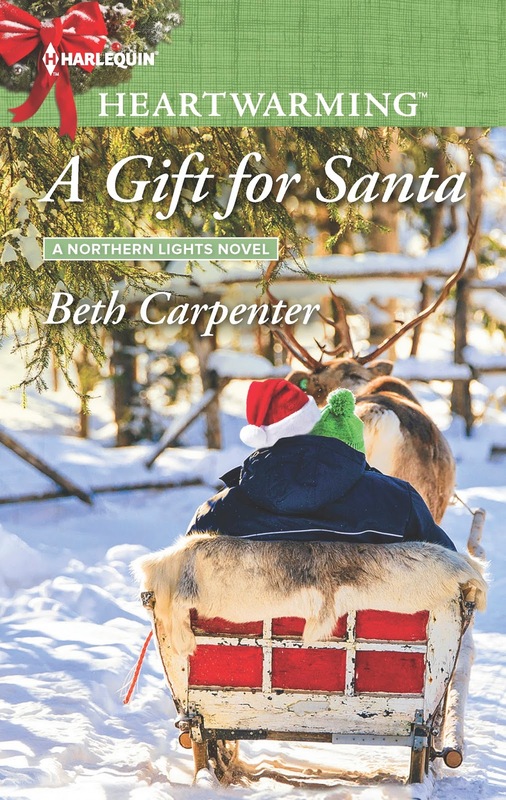 Libby knows that small-town life has her set in her ways; the tearoom owner needs to get out more. 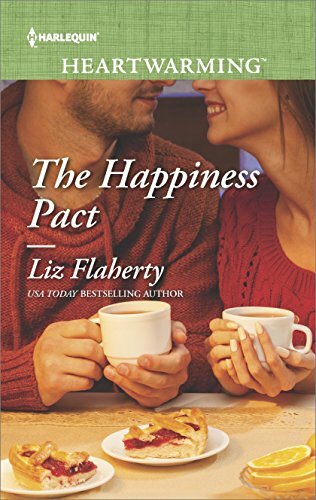 So they form a pact: Libby will play matchmaker and Tucker will lead her on the adventure she desperately needs. But the electricity Libby feels when they shake on it should be a warning sign. Soon the matchmaking mishaps pile up, and a personal crisis tests Libby’s limits. Will Tucker be there for her as a best friend…or something more? 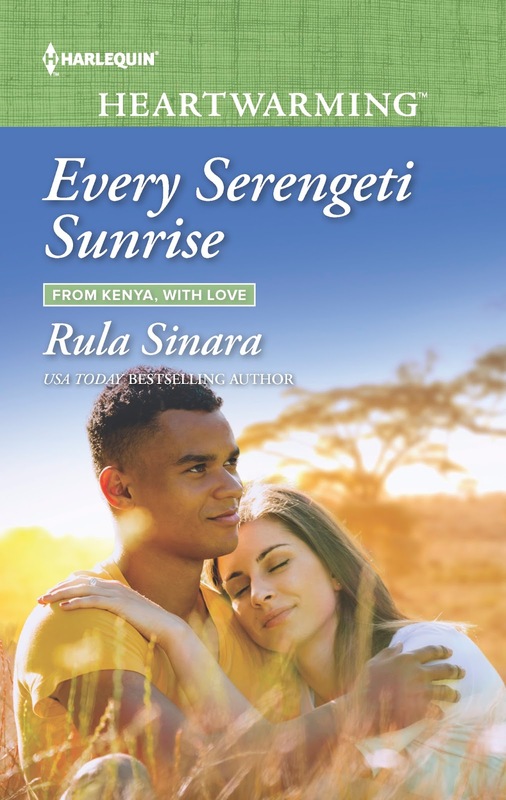 Also coming up...Rula will be interviewed on the Finding The Write Words blog tomorrow (HERE) and all four December authors will be posting here on Saturdays this month. See you around! So what 3 odd items would Santa find in your purse if its contents spilled out after a reindeer/sleigh collision? Happy Release Day, ladies! All of the books sound great. I'm looking forward to catching up on my reading over the holidays. Like Catherine, I have a large purse, too. Most of the contents are standard, several pens, note pads, almonds and a special hummingbird keychain. Jill, I LOVE hummingbirds! In the garden and in art form, incl keychains :). Jill! I love the hummingbird! My husband used to love them!! Merry Christmas! Congratulations on the releases--they all sound wonderful. Loved reading about your handbags--why is it I find a dozen pens one day and then can't find even one the next? I often have all sorts of stones finding their way into this or that inner pocket. And lists! Can't leave the house without a book, and sometimes I forget it's there and end up hauling it around, too. I hope all these releases bring readers joy! Virginia, I'm a list gal. My purse always has lists (and receipts lol). I have to go through purse paper clean up quite often ;). Oh, Virginia! I forgot about all the lists. This time of year I can't find my wallet for all the lists. You are so right. I hope they bring joy as well. I know I'll be happy when they land on my doorstep tomorrow! Happy St. Nicholas Day to everyone! The joy of subscribing is that I almost have all the great books read. I'm slow this time because of having to Christmas shop, etc. My purse doesn't contain anything truly odd that I find. Just the usual stuff we all need. Just tell me how is it that men only need a wallet? Honestly, Roz---that is the question of all time. HOW DO THEY DO IT? Pants pockets? LOL, Roz, I'd like to know too! I know whenever we go somewhere, all the guys in my house (because I'm the only girl) ask to put something or another in my purse for them. That's cheating lol! Love this post! I'm laughing because no matter how hard I try it seems my bag is always a mess. Coincidentally, I just cleaned it out a couple days ago. I dumped everything out of it, stared at the pile, and shook my head at the clutter. There was a black banana that I honestly don't remember putting in there, a box cutter (thank goodness I wasn't headed through airport security), and four different Chapsticks. Lol. A BOX CUTTER??? Goodness. It is amazing to me that I have so, so much junk. And like you, I just cleaned my purse out and no joke, put all the junk back in . Carol, you crack me up! A rotten banana and a box cutter lol. You think the box cutter killed the banana? It's a purse mystery! This post made me realize how boring my purse is! Except for wallet and a handful of tissues (just in case I’m at a sad movie or struck down with a cold). Congratulations ladies, on all your Dec. releases and am looking forward to reading them. Thanks, Janice and Merry Christmas!!! Janice, you must have a clean purse, which is a good thing! I can't keep up with mine. Mine's boring, too. I have receipts, bookmarks, and reading glasses. And I can answer Roz's question--men only carry wallets because we have all their stuff in our purses! :-) Loved the post, ladies. I like your response, Liz. I used to carry all kind of junk for my husband. This is very true. And yes, I have tons of tissues. Especially with my sinus infection I'm sporting now. Grrr. I love all the detail you put into the scenario (earbuds, no chimney). You must be writers, LOL. My purse has a crumbled bulletin with a note to remind myself to buy something, two pair of reading glasses because I will inevitably lose one pair, and a Cross pen my sister gave me when I got my first book contract. Oh, and for some reason, a Mexican coin at the bottom. OOOOOh. Love the Cross Pen thing. That's like a really good luck charm!!! And the Mexican coin. Foreign travel in your future? Aw I love that she gave you that pen for your first contract!! What a fun game! My bag is always full of junk, so I'll narrow it down to the 3 things I can't go anywhere without: a P-38 (Army can opener), small case with my flash drives in it, and a notebook to jot ideas on. You just have to dig all the way to the bottom to find them, lol. Ok. I never, ever thought of having an Army can opener. I have to go now and re-think my purse essentials. I have nothing unusual, unless three library cards counts. Don't judge me! I did just remove my Kindle Fire last night because I'm trying to find a moment to download you ladies' books. True story! I really wish I could buy them off the shelf but don't think they are even at the Target 20 miles over. Wondering if anyone in Indiana has spotted print copies. Hi Cathy! We all understand a love of libraries and multiple cards lol! :). And thank you for wanting to read our books. The Heartwarming line isn't in brick-and-mortar stores (yet...fingers crossed) but you can find print copies online on Amazon or at Harlequin.com, Barnes and Noble etc... The print versions are usually available a couple of months (then you can usually find used after that) but the ebook versions live on ;). Hope that helps! Happy Holidays!